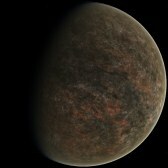 When the system's primary planet was first discovered, many dismissed it as another water covered world lacking any land areas. As early explorers surveyed the planet though, they discovered there were numerous small island chains spread across the surface. Settlements were built on the sparse islands chains. Fishing villages are common on the islands, making the fishing industry the largest portion of the planets economy. 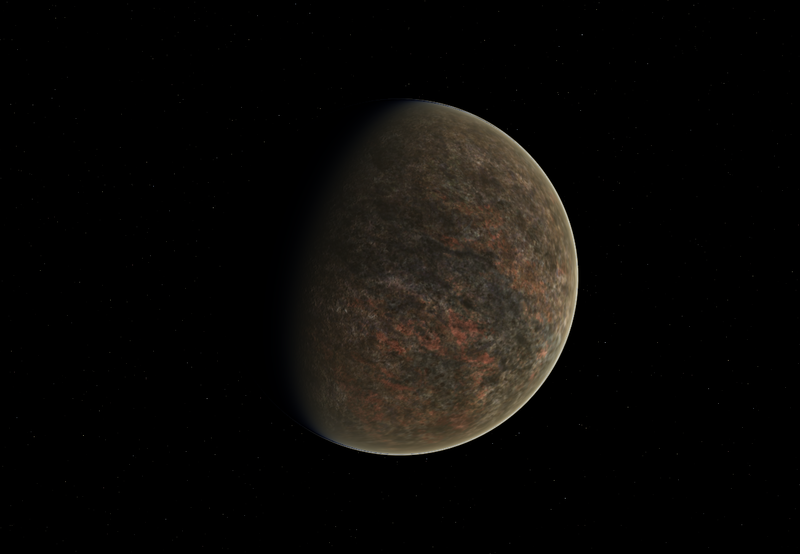 St. Andrews B is a hot world with a carbon dioxide atmosphere. 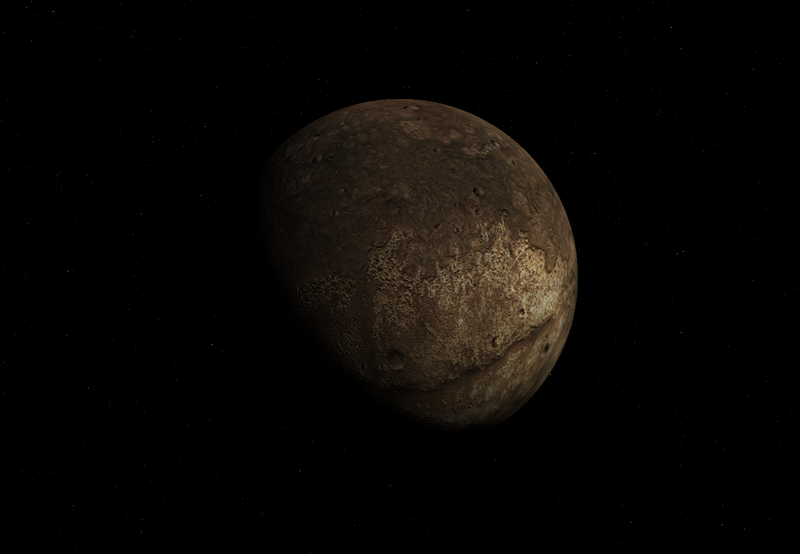 The planets surface is composed siliceous rocks, with sulfur and carbon compounds. 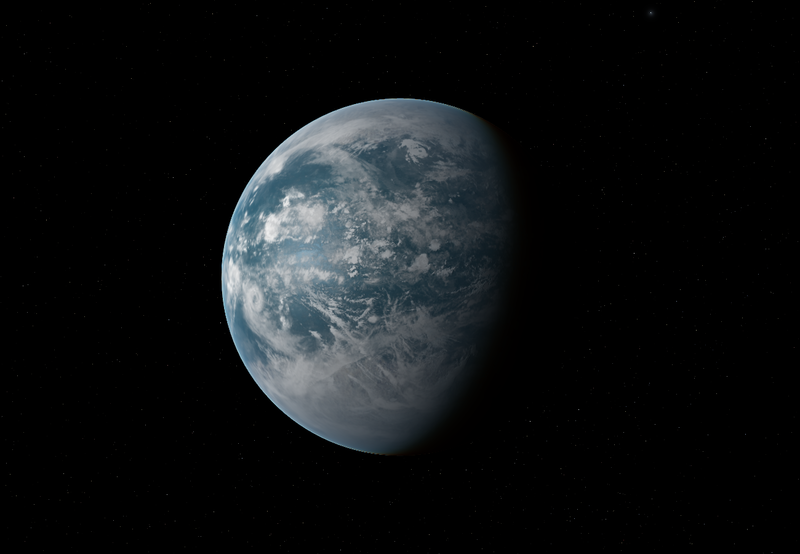 The internal structure contains large amounts of iron helping give the planet an earth-like density. St. Andrews C is a water covered world with a handful of small island chains making up the only land areas. The island chains are the tops of the tallest underwater mountain ranges. 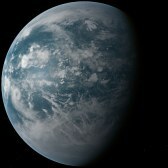 Cooler than Earth with large polar ice caps, cold winds consistently blow across the deep planet wide ocean. St. Andrews D is small cold world without an atmosphere. The planet is composed of layers of water and carbon dioxides ices. 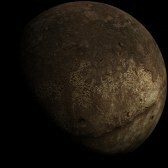 The planets overall surface is old with a thin layer of clays covering the ices below.